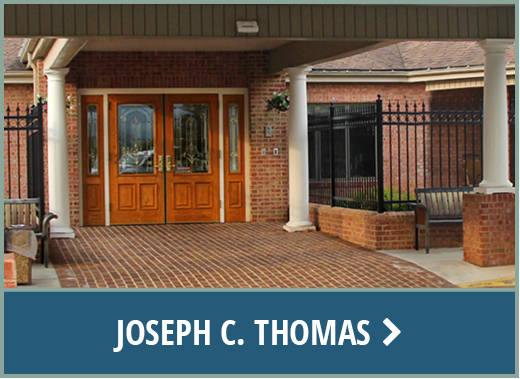 A senior living community that provides genuine care through all phases of your life. It’s just who we are. 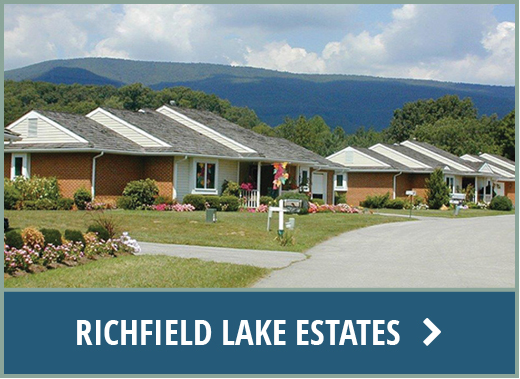 Richfield Living is a not-for-profit senior living community located on 52 beautifully landscaped acres in Roanoke County, near the city of Salem. As the stages of life change, we offer a range of options to meet your family’s needs: rehabilitation following surgery or a stroke, social interaction in our retirement residences, and extra support for those needing additional care. 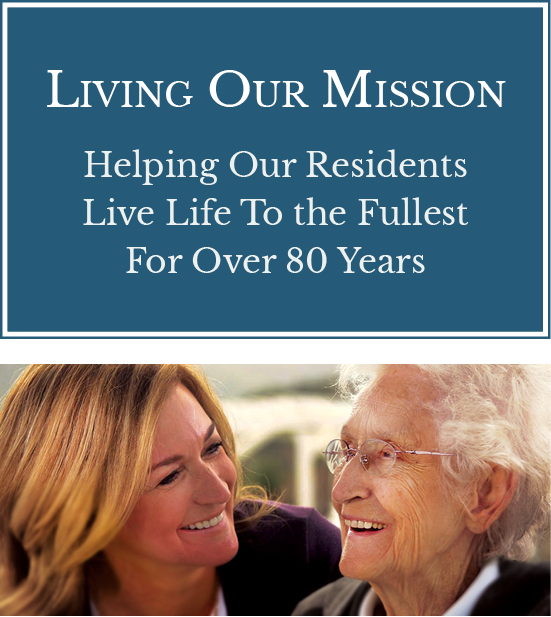 All in one place, with special commitment to exceptional senior living. That’s the Richfield difference. At Richfield Living, we are committed to a team approach to fulfill our goals. Our distinguished board of directors, our experienced senior management, and our dedicated nurses and support staff work together to ensure that all individuals — residents and team members — reach their true potential. Our history tells the story of an institution that was built by ingenuity, dedicated individuals and organizations from the community, and the concerted efforts of two professional nurses — Jane Morgan Harris and Cary Holladay. The following written account was taken from early records. 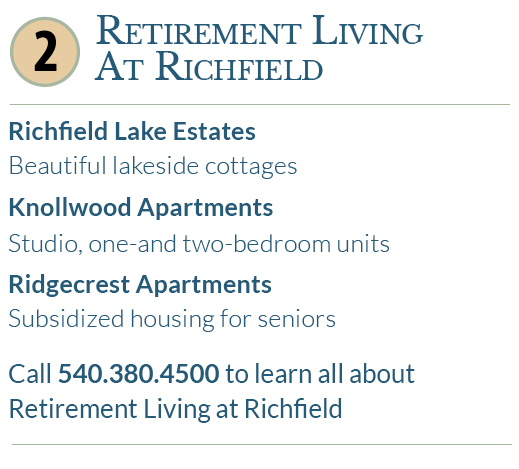 Richfield is a senior living community not owned or affiliated with any entity. We invite you to click on the tabs below to learn more about our history. 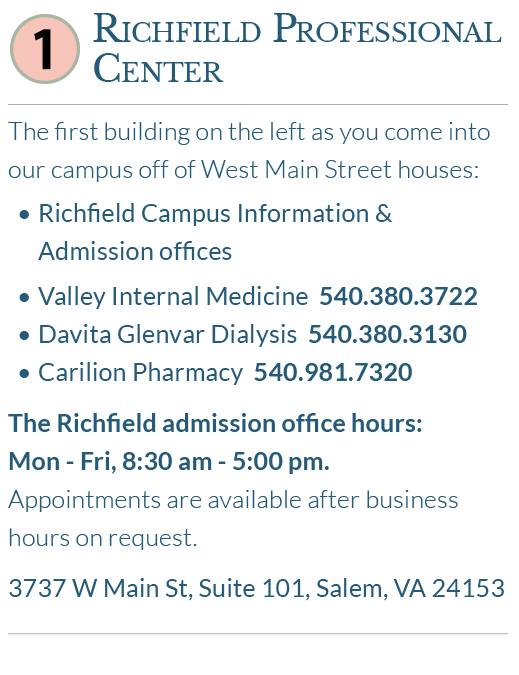 Richfield dates back to 1919 when a group of women saw the need to provide the rural citizens of Roanoke County and the surrounding area with a means of learning how to care for the sick. By February 1920 a nursing committee called the Roanoke County Nursing Committee was formed with an imaginative, dedicated lady by the name of Jane Morgan Harris appointed public health nurse for this committee. 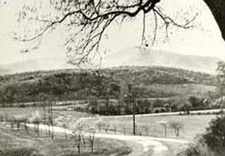 One bitter cold night in the winter of 1934, Mrs. Harris, was called out for a maternity case on Salem-Carvin’s Creek Road in Roanoke County. Accompanied by Dr. William C. Stephenson, they located the expectant mother, her husband and their seven children huddled together in an abandoned filling station because they had been evicted from their home. The delivery was made using the doctor’s automobile headlights. After this experience, Mrs. Harris swore this should never happen again. Determined to find a place where people in need could be cared for properly, Mrs. Harris appealed to the County Board of Supervisors for the use of an old house on the County Farm west of Salem. women were then organized into social service club resulting in 35 clubs. Mrs. Harris and the women from the social service clubs, armed with scrub brushes and paint, made the old house habitable. A Roanoke Hospital donated two discarded beds and Mrs. Harris devised bedside tables from orange crates and stoves from oil drums. She admitted her first patients for a fee of $5 for two weeks of care. If the patients did not have the money, they brought in farm produce in exchange for their care. The Virginia Emergency Relief Association employed a graduate nurse for the first two years of operations as accommodations were gradually expanded. 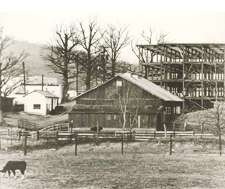 When the Roanoke Public Health Association was founded in 1937, the Roanoke County Board of Supervisors voted to turn the entire project over to the Association to be run as a nursing home and be known as Mercy House. Roanoke County maintained the buildings and paid the insurance, as well as the salaries of four men who operated the 280-acre farm under the direction of the county agricultural agent. 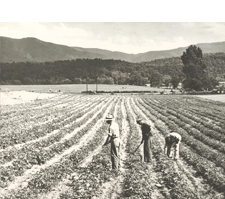 The farm supplied fruits and vegetables for meals, and all surplus vegetables were canned. Pigs and chickens were raised for meat and a small dairy herd was maintained to supply milk. Any excess food or milk was sold. A new nursing care center was built in 1971 in the location of the original farm house. An east wing addition opened in 1978. 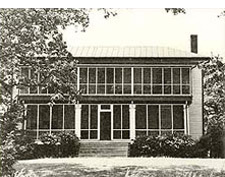 In 1968, in honor of the work and contributions of Mr. and Mrs. S. H. McVitty, the decision was made to change the name from Mercy House to McVitty House. As the property expanded its services to offer various levels of housing and care, the Board sought a new name to better reflect the growing community. A local historian advised that the property was situated on land that was once a part of the estate of renowned local citizen and Revolutionary War General Andrew Lewis. His estate was named Richfield; therefore, the decision was made to adopt the name Richfield. 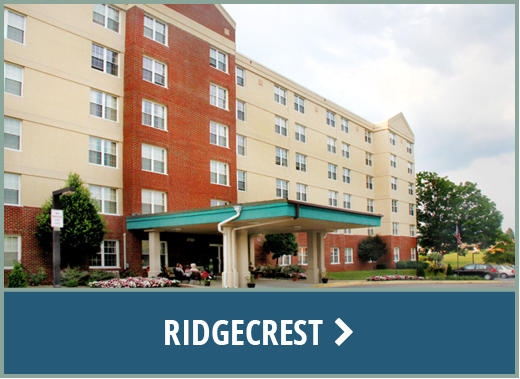 Over the years, many individuals have called Richfield home. 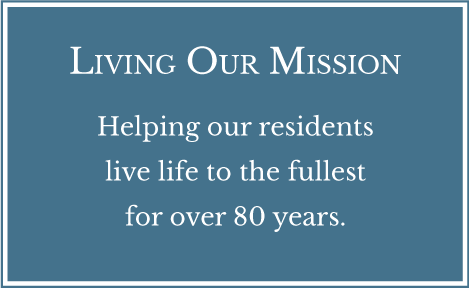 As a senior living community, Richfield Living has grown from its humble beginnings into a place now recognized as a leader in retirement living, assisted living, rehabilitation, and nursing care. It stands today as a tribute to those two Registered Nurses, Jane Morgan Harris and Cary Breckenridge Holladay, whose skill and empathy brought health, courage, and peace of mind to those in need. 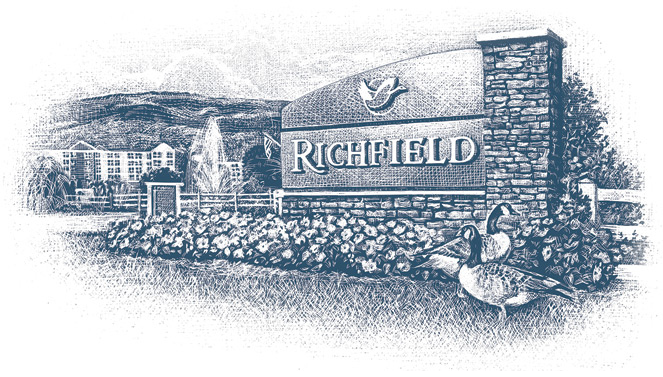 When someone thinks of Richfield Living, geese typically come to mind! These beautiful and entertaining creatures grace the Richfield Living community, thanks in part to the two lakes located on campus. 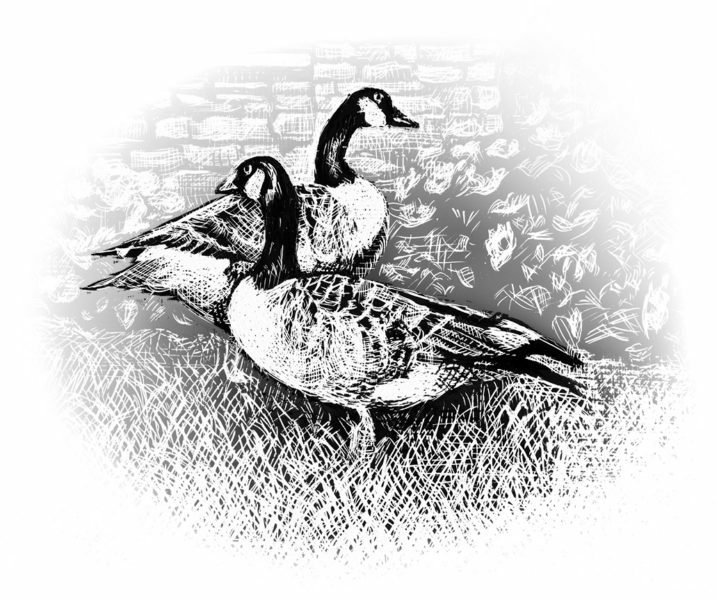 While all enjoy watching the birds, and welcoming goslings at the beginning of each summer, the fowl also remind the Richfield Living team members of very important lessons in working together. Geese have discovered that they can reach their destination more quickly and with less energy expended when they fly together in formation. When people work together harmoniously on teams, sharing common values and a common destination, they all arrive at the destination quicker and easier, because they are lifted up by the energy and enthusiasm of one another. Sometimes people playing on teams will drop out of the group and try to accomplish goals on their own. However, like the geese, they usually discover that they miss the synergy and energy that comes when they are an active part of a cohesive team moving toward their destination, and want to return to the group. When the lead goose gets tired, it drops out of the front position and moves to the rear of the formation, where the resistance is lightest, and another goose moves to the leadership position. When a team is functioning well, various members of the team may take the leadership role for a while because of a particular expertise or experience. Consequently, on good teams, everyone has the opportunity to serve as a leader as well as a follower. Geese frequently make loud honking sounds as they fly together. Scientists speculate that this honking is their way of communicating with each other. Similarly, when working on teams, it is exceedingly important for each team member to communicate regularly with all the other team members. Human teams can learn from flying flocks of geese that constant communication among members is exceedingly important in moving effectively towards a common destination. They will stay with and protect the injured goose from predators until it is able to fly again or dies. Likewise, human teams work best when they do more than just work together, but care for the well-being of each other. 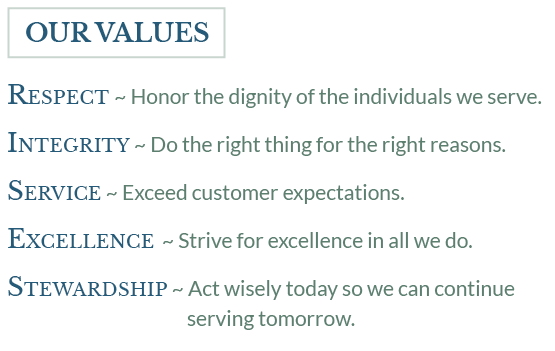 Adapted from: Lead Like Butler: Six Principles For Values-Based Leaders, by Kent Millard and Judith Cebula (Abingdon, 2012). Every video tells a story. Watch what our residents and family members have to say about living at Richfield. Hugh enjoys all that life has to offer at The Oaks at Richfield in Salem. Ann considers The Oaks at Richfield in Salem a home. 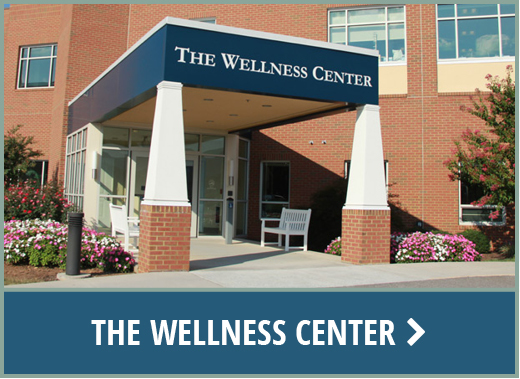 The Wellness Center at Richfield enhances Harold’s retirement living. The convenience of living in a senior living community with multiple care options is important to Harold. 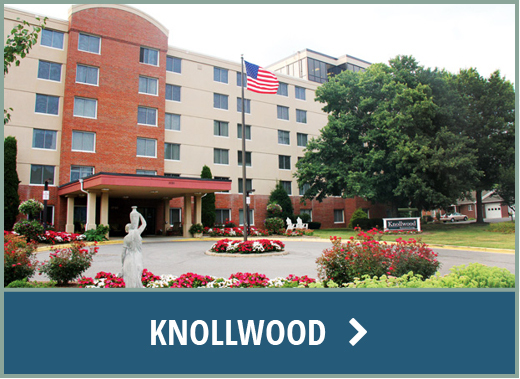 Kathy’s Mom’s decision to move to Knollwood took the worries away. 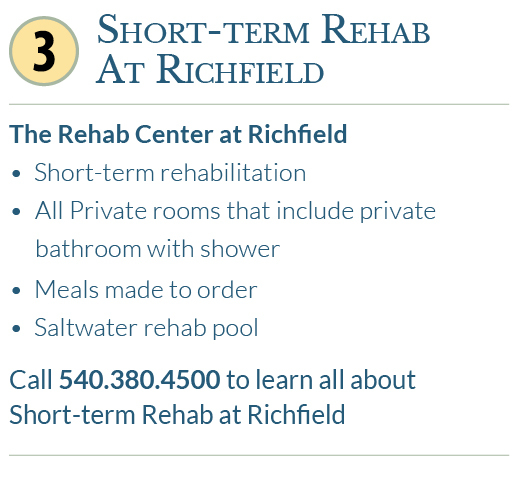 Richfield Rehab was a wonderful place to recover after having two knees replaced. For Helen, the beauty, activities and convenience are what she loves about living at Richfield Lake Estates. It means so much to Velva and other families that their loved one is cared for in a loving atmosphere. 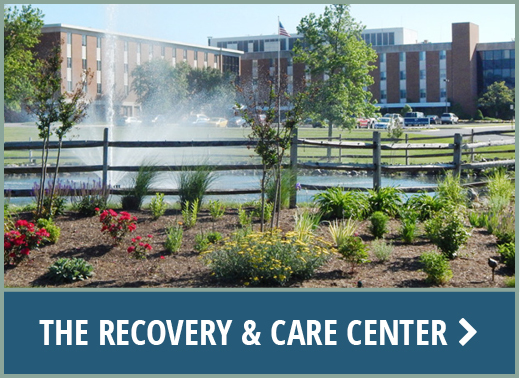 Roger appreciated having his rehab with the very professional people at The Rehab Center. 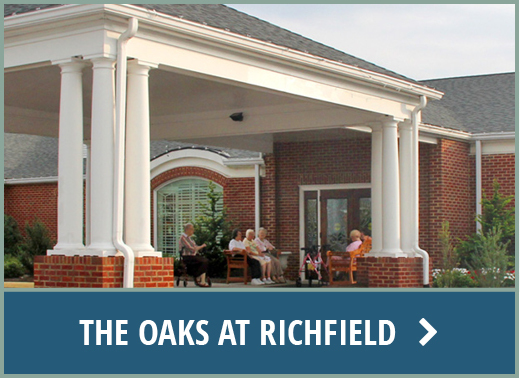 Transitioning from The Rehab Center to assisted living at The Oaks at Richfield gives families peace of mind. The facilities are fabulous, with a wonderful staff. This not only home to Mom, but to our whole family. My husband had Alzheimer’s and the people at Richfield spoiled him rotten. I didn’t have to worry when I went home. 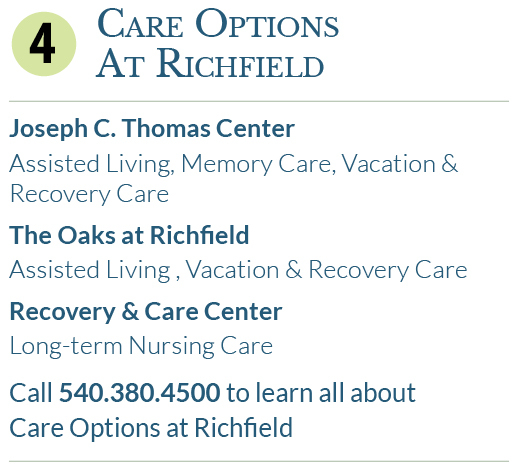 We found Richfield to be the best option for our Mom because of the convenience of the location and the sense of caring from staff. Our team members have a lot to say about working with their teams and their residents! Kim’s goal is to get patients back to their highest level of activity and back home as soon as possible. To Jennifer, the difference at Richfield is the staff. From management down they go out of their way to help residents. Rob makes sure that exercises and activities are personalized and cater to resident’s needs and desires. 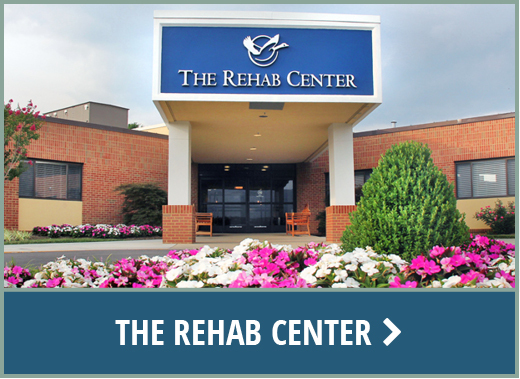 Fred loves working at The Rehab Center because of the residents, and the team environment. Teresa calls her staff “The Oaks Family” because they all work together to make sure the residents are taken care of like family. Occupational therapists at Richfield promote patients getting home and at their prior level of function as soon as possible. Dora, a nurse aide for over 19 years at Richfield, loves the residents and feels they are like family. Living is easy in our senior living community, with two lakes and breathtaking views of the mountains. 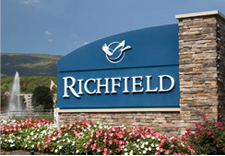 The beautifully landscaped acres of the Richfield Living provide a setting that fosters independence, wellness, and security — so residents can enjoy life to the fullest. 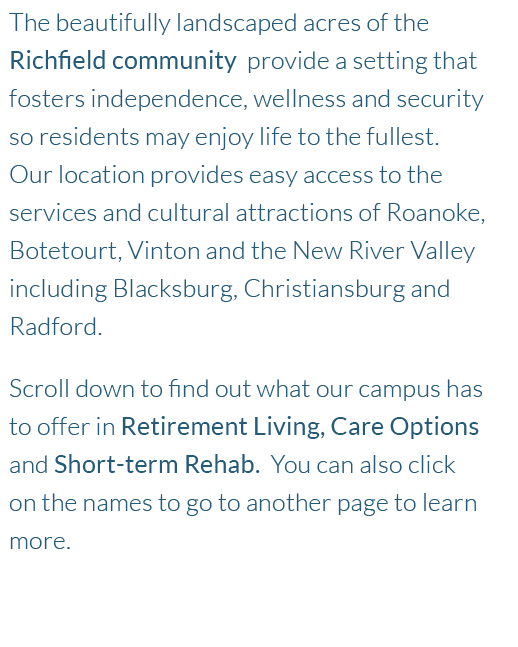 Our location provides easy access to the services and cultural attractions of Roanoke, Botetourt, Vinton, and the New River Valley, including Blacksburg, Christiansburg, and Radford. 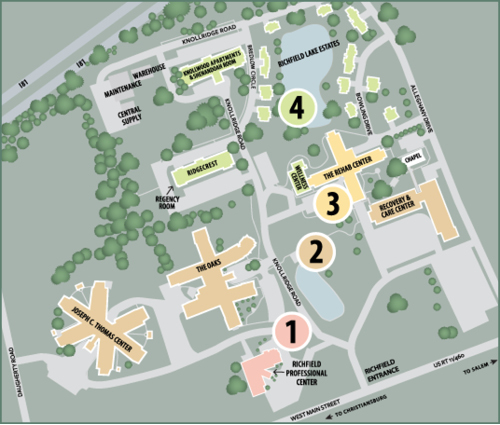 To find out what our senior living community has to offer in Retirement Living, Care Options, and Short-term Rehab, simply roll your cursor over the buildings on the map to the left. You can also click on the images below to learn more.